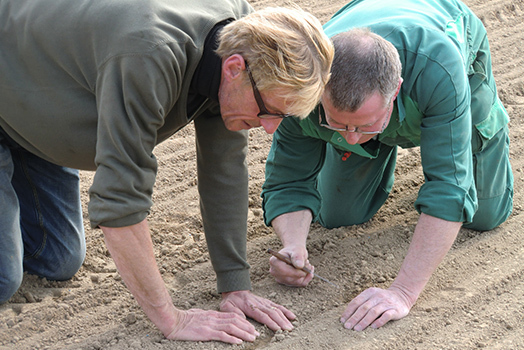 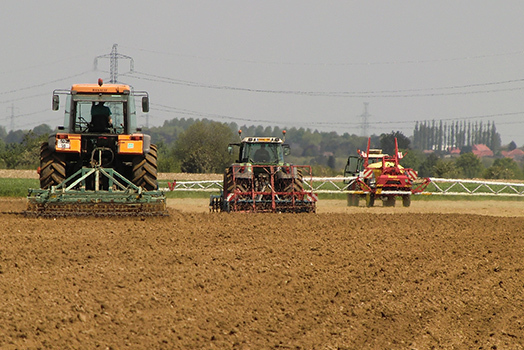 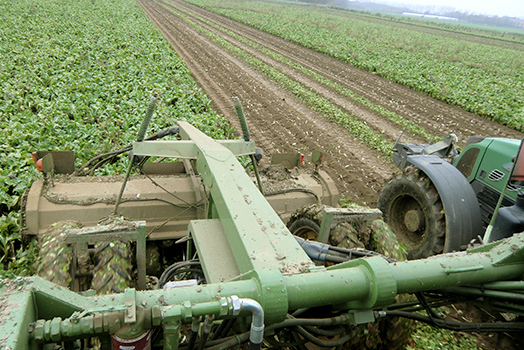 Soil preparation is a fundamental step to ensure good sowing and optimal germination. 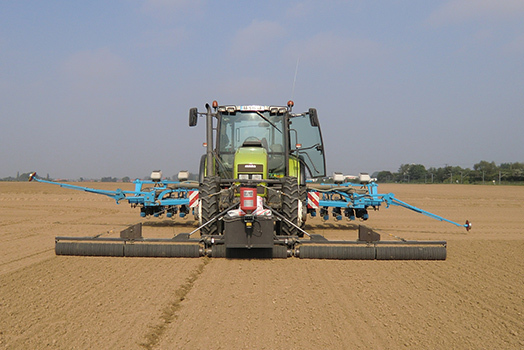 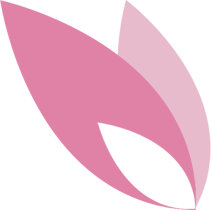 The direct seeding step, when the seed is sown, starts in springtime, as of mid-April for the earliest varieties, and through to the end of the month of June. 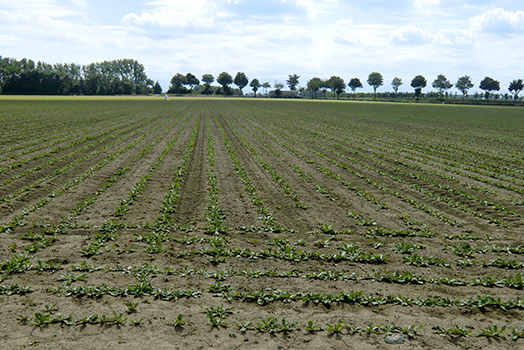 The diversity in the varieties of seed enables forcing all year long. 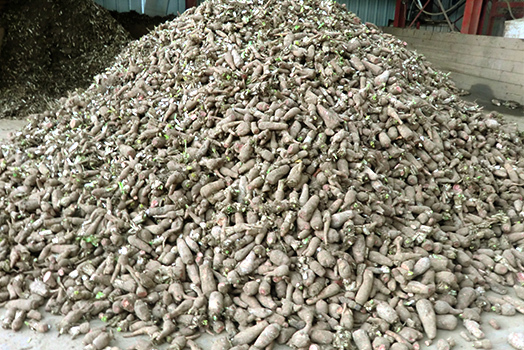 Based on demand, the roots are brought out of the cool dark storage and placed vertically in deep containers. 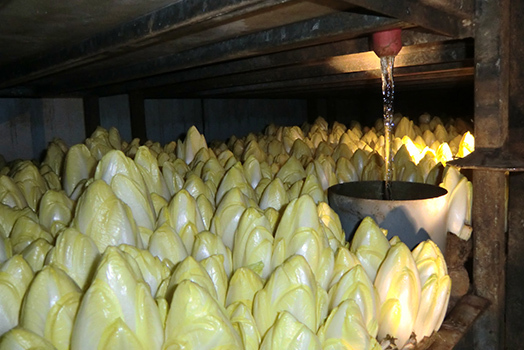 These containers are placed in warm, completely dark growing rooms called forcing rooms, where the grower controls the temperature, the humidity (through a watering system which circulates between the growing containers) and the darkness. 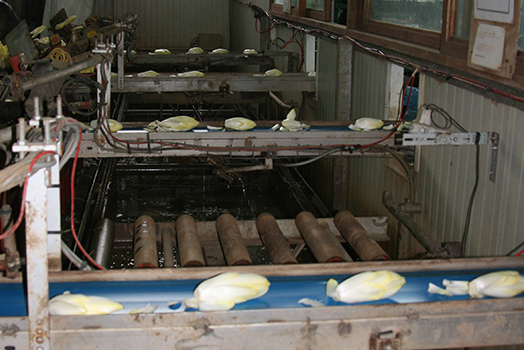 The endives, or chicons as they are also known, reach maturity after 21 days, and are brought out of the forcing room. 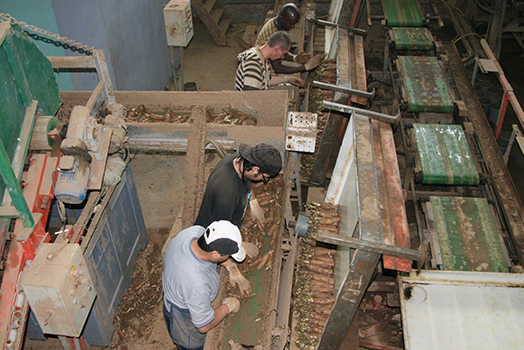 The chicons are then separated from the roots, a process which is referred to as cassage. 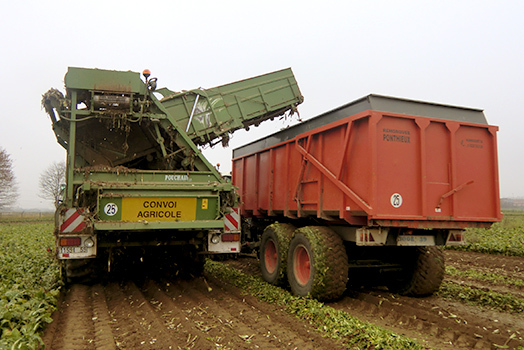 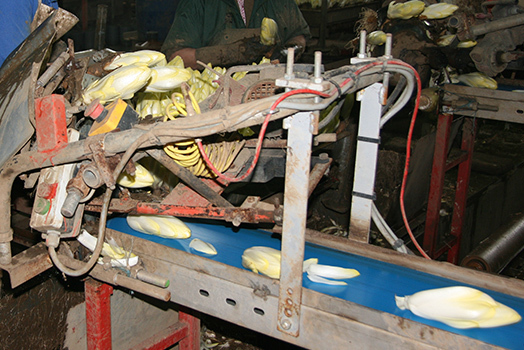 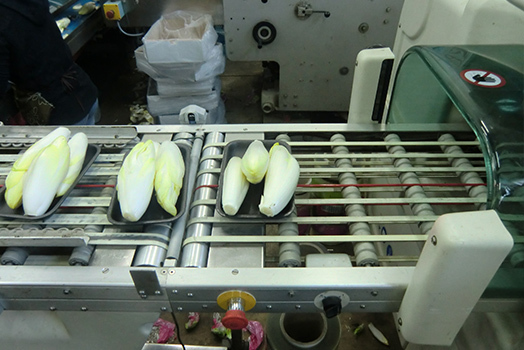 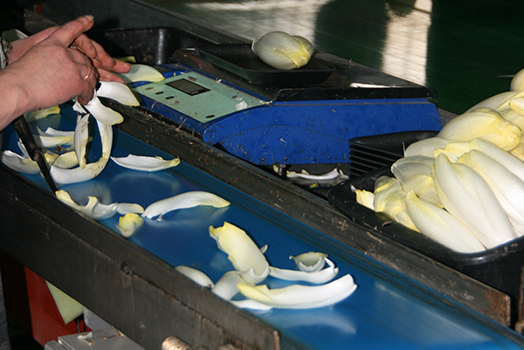 The endives, or chicons, are placed on packing conveyor belts where certain leaves are removed and the endives are carefully cleaned, weighed and packed in bags, trays and boxes. 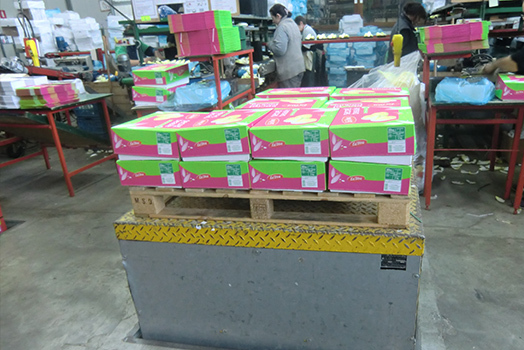 Customer orders are then filled by placing these packs on palettes which are stored in the cooler for optimal storage conditions. 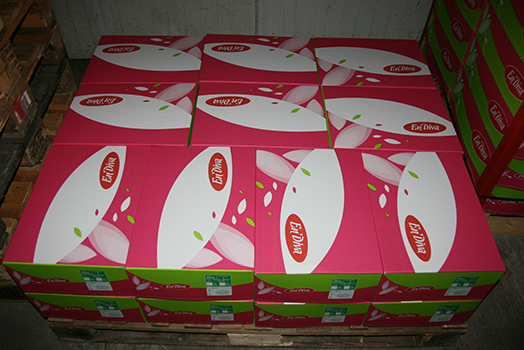 Orders are shipped via refrigerated transportation directly to our customers (buyer groups, distribution platforms, wholesalers, export…). 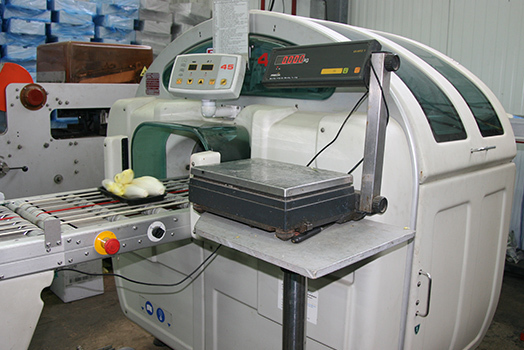 This shortens delivery times and ensures optimal freshness. 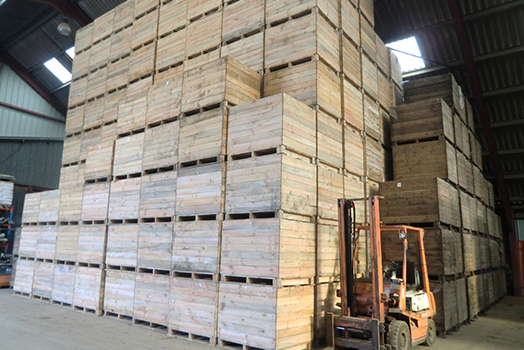 Our constant, daily objective is “zero inventory” to ensure 100% customer satisfaction.